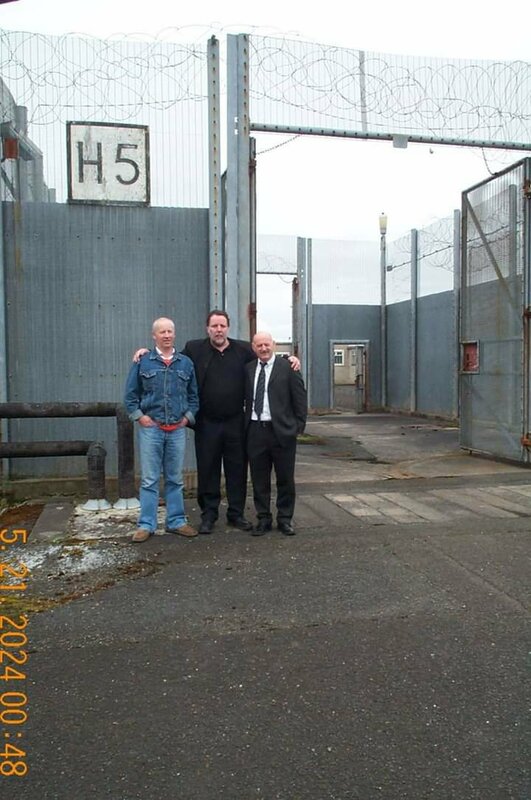 – With Colm O’Neill and John Nixon at The Maze Prison/H5 – Long Kesh. 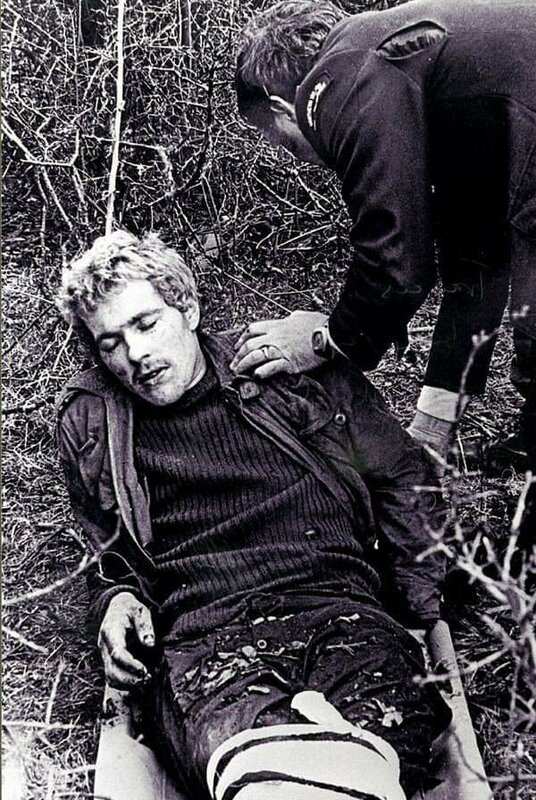 At 8.00 p.m. on March 16th, 1978, two SAS soldiers took up a stake-out position opposite a farm, on the south side of the Ronaghan road, about two miles west of Maghera, in the townland of Ballyknock. At 9.15 p.m. they saw two men in military uniform and carrying rifles, walking in single file along the hedgeline of the field towards them. Using their ‘night sights’ in the darkness, the SAS men observed the military behaviour of the two on-comers and having challenged them, heard the men mumble a few words to each other in Irish accents and assumed that the pair were UDR soldiers. 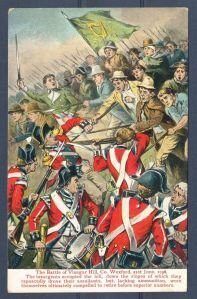 One of the pair, in fact, was Francis Hughes, the other a fellow Volunteer, and with only a second’s hesitation both Volunteers cocked their rifles and opened fire. One SAS man fell fatally wounded but the other – though shot in the stomach – managed to fire a long burst from his sterling sub-machine gun at the retreating figures, and to make radio contact with his base. Within three minutes, nearby Brit patrols were on the scene and the area was entirely sealed off. The following morning hundreds of Brits took part in a massive search operation. 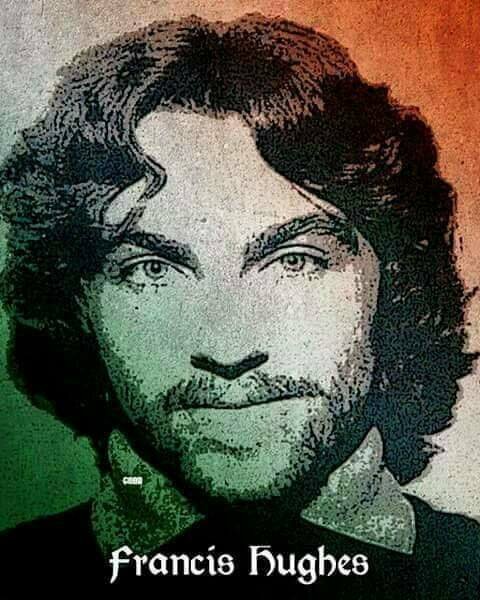 Fifteen hours after the shooting, at around 12.15 p.m. the next day, they found Francis Hughes sitting in the middle of a gorse bush in a field three hundred yards away, bleeding profusely from a bullet wound which had shattered his left thigh. As he was taken away on a stretcher he yelled defiantly, through his considerable pain: “Up the Provies”. His comrade, though also wounded, slightly, managed to evade the dragnet and to escape. 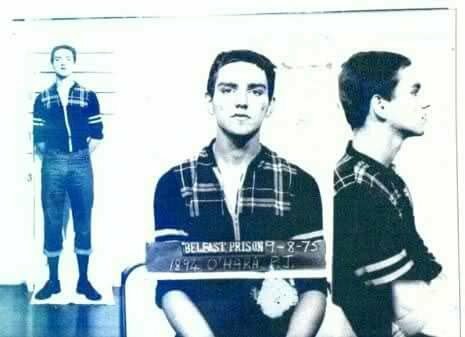 Walsh first met Sands on remand in Cage 8 of Long Kesh before being moved to Crumlin Road jail in January 1973. “Although I was 16 and should have been sent to a juvenile institution, I was sent to a standard remand jail,” he said. “Bobby wasn’t in the same hut but he sought me out when I arrived, I suppose because I was so young. 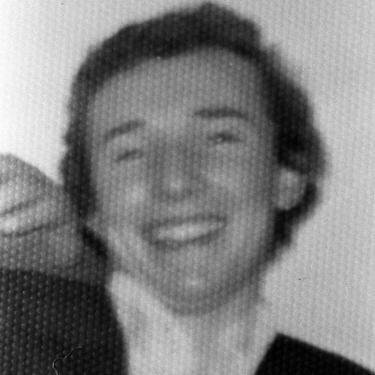 Bobby was 18 and had been on remand for around four months. “He took me for a dander around the yard explaining the daily routine of the jail, the dos and don’ts, filling me in on how to arrange visits from family and generally ‘what was what’ in the jail. “He was very much one of ‘us’, an ordinary guy who loved a bit of craic, kicked a football, had a sleg and a laugh. 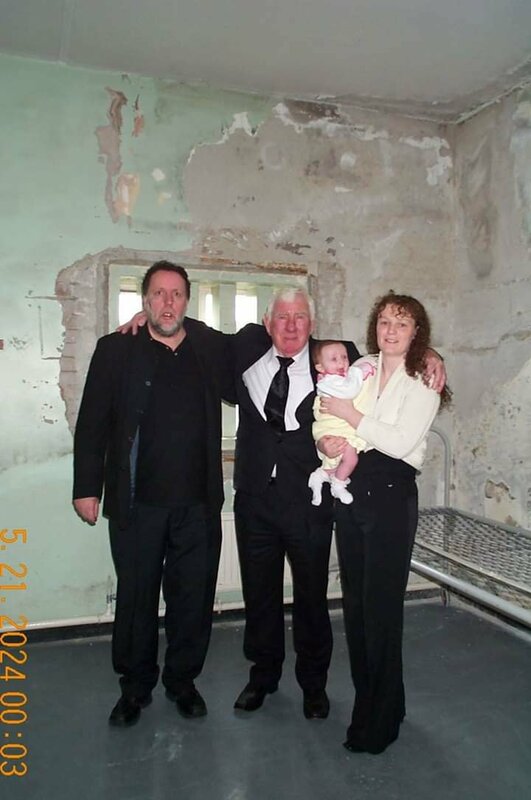 While he was in Crumlin Road jail Bobby got married and his son Gerard was born. “Bobby was sentenced to five years and sent to Long Kesh in March or April of 1973, while I was soon to follow in May”, Walsh said. 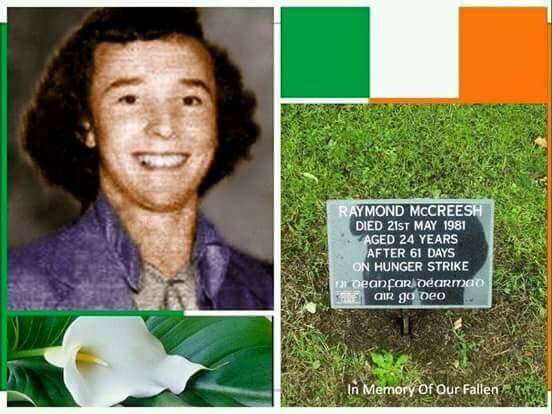 “We met up again in autumn of that year, around September, when I was moved from Cage 18 to Cage 17 in Long Kesh. “The warders had done away with the open layout of the Nissan huts and had partitioned them on the inside into cell-like structures. We called them cubicles or ‘cubes’. I was put into Bobby’s cubicle for around a year until we prisoners burnt the camp in October 1974. “I was from the Short Strand and there were a lot of Short Strand guys in Cage 17. Bobby was from Rathcoole originally, and then moved to Twinbrook after the summer of 1972. He became part of our circle, those of us who were mainly from the Strand. “We were all learning Irish together. I would have had around GCSE-level Irish before I was caught. I don’t think Bobby had any Irish when he went in but he very quickly caught up. 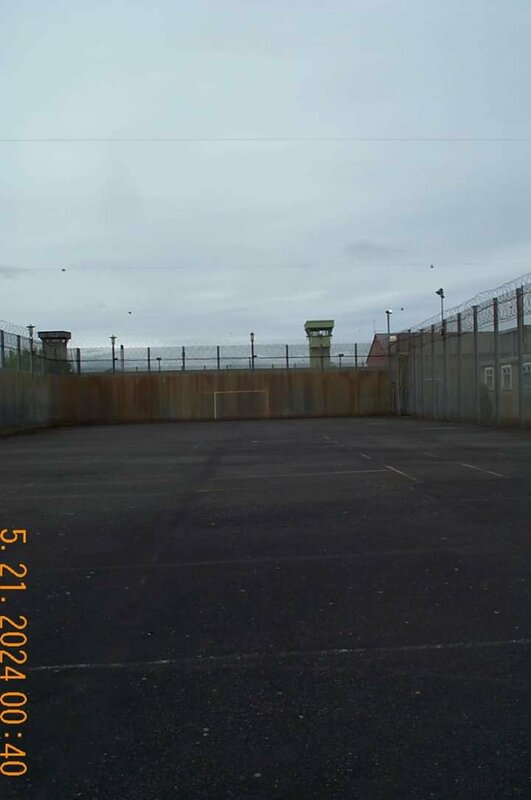 “A fellow prisoner was great guitarist and blues musician Rab McCullogh. He taught Bobby how to play guitar around that time. He was always down at our cubicle or else Bobby would be up in his learning how to play different tunes. “Bobby would sing a lot of Bob Dylan, Kris Kristofferson and early Rod Stewart stuff during this period, as well as a lot of songs in Irish. “He read and absorbed books hungrily – political and historical books about British involvement in our country and the resulting resistance to that involvement, as well as the struggles of other oppressed peoples throughout the world, throughout history. But he also read novels. “When Bobby was released in early 1976 he was coming out determined to reorganise the republican base in his area, Twinbrook. “He reorganised the army, the auxies [auxilleries], na Fianna [republican youth group] and Sinn Féin, but then he took things a step further. 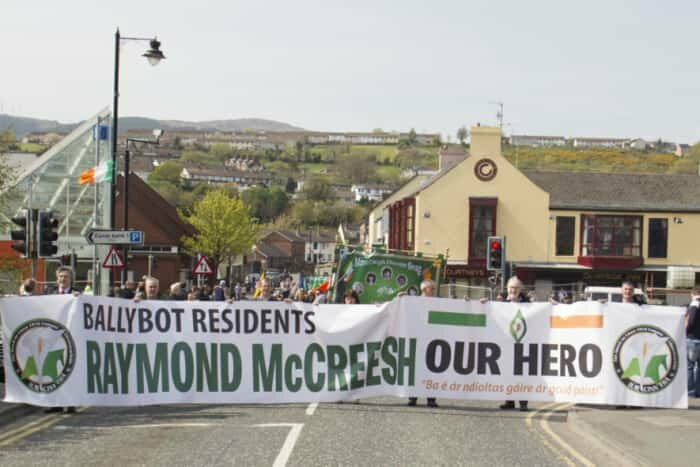 “He organised republican involvement in the tenants’ associations and pushed republicans to become involved in the everyday battles with the British Direct Rule administration and unionists on Lisburn Council. “After six short months, however, he was back inside and I was already there too, waiting on him coming back. “Bobby was at the forefront of resistance to Britain’s criminalisation policies on remand in Crumlin Road jail and then once sentenced, in the H-Blocks,” Walsh said. “He had been involved in writing a local weekly news-sheet before recapture and he decided to continue writing for it in jail. After a while he started writing for Republican News, soon to become An Phoblacht/Republican News. “He was now like a man possessed; it was his job to tell the story of every brutal assault, every sadistic attack on the naked prisoners in the H-Blocks. “The horrendous conditions in which we suffered meant nothing if the world outside of our immediate families knew nothing about them. Bobby was central to getting the word out, first of all to the republican base and then to the wider community. 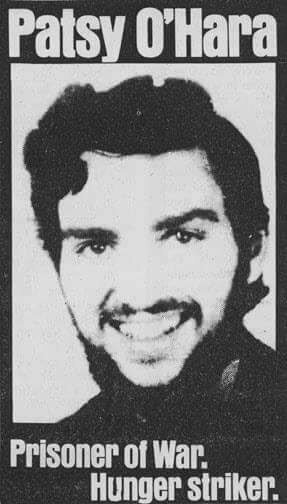 “As the crisis in the H-Blocks dragged on from 1979 into 1980 and we went through different avenues to move the British on the political status issue, it became clear that we would be left with one last option – the hunger strike. 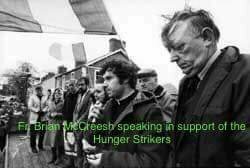 “The hunger strike of 1980 ended with British doublespeak and bad faith and it quickly became apparent to a number of us that a second hunger strike was inevitable. “With Bobby leading the charge in the face of justified concerns and worries from the army leadership outside, we pressed our case. We were successful. Walsh recounted the events that led to Bobby Sands being elected as MP for Fermanagh/South Tyrone while on hunger strike. “When it was announced in 1979 that Bernadette McAliskey was to stand on an Anti H Block/Armagh Platform in the European elections, we discussed the decision in jail and put out a public statement voicing concerns that the election campaign a distraction from the task of mobilising people in the street campaign in support of political status for republican prisoners. “We viewed it as a distraction from the armed struggle. “However, when Bobby’s name was put forward for the 1981 by-election in Fermanagh/South Tyrone, we vigorously seized on that notion and weighed in behind it, not as an alternative to the armed struggle at the time, but as a way of mobilising people around the issue of political status. “It was a means of allowing people to publicly claim their support for the prisoners. “The media was ignoring or downplaying the street campaign in support of status, so in that context the election campaign seemed like a good way to put it on public record that there was a high level of support for the prisoners and for our demand for political status. “Once the idea was raised to put Bobby’s name forward for the Fermanagh/South Tyrone by-election, there wasn’t universal support for the move in the jail. 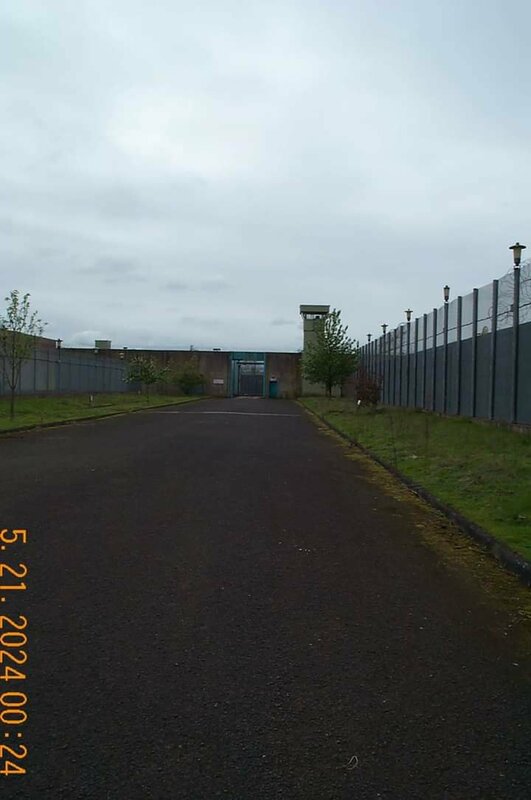 “Some prisoners were concerned that the election campaign would be a distraction from the street campaign in support of political status, or that participating in the electoral system would somehow contaminate our republican credentials. 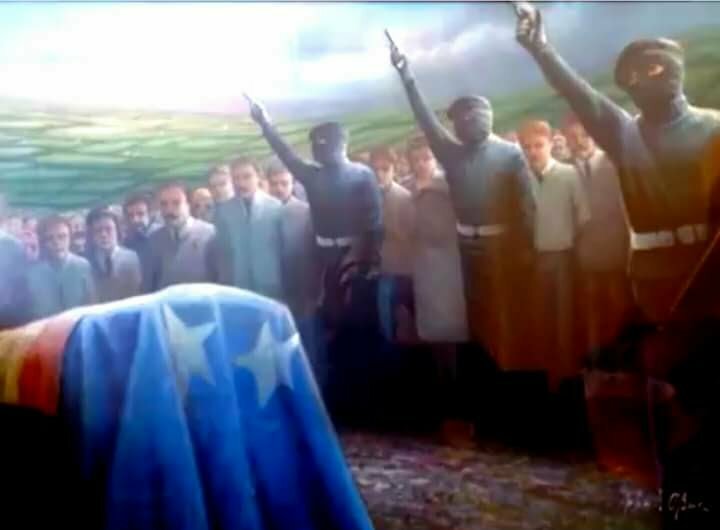 “Others were concerned not about the question of participating in the election, but of the prospect that Bobby might not win the seat, which would allow the British to present the outcome as a rejection of our decision to embark on the hunger strike, a rejection of the legitimacy of the protest and the five demands, and a rejection of the wider republican struggle. “We were very clear about the dangers of the tactic of putting Bobby forward. Overall however, the majority verdict was ‘Yes, let’s go’. 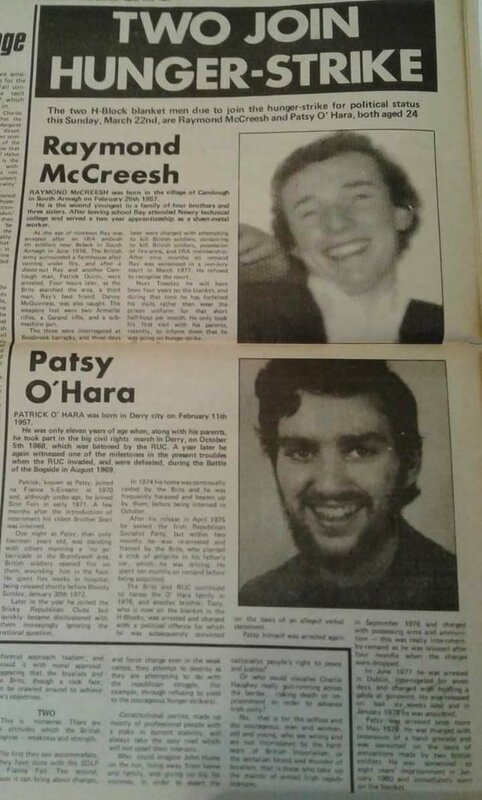 “During the first hunger strike in 1980, and in the lead-up to it, we wrote to everybody we could think of – schools, credit unions, GAA clubs [Gaelic Athletic Association, which organizes tradition Irish sports], residents’ associations, celebrities and sports personalities. 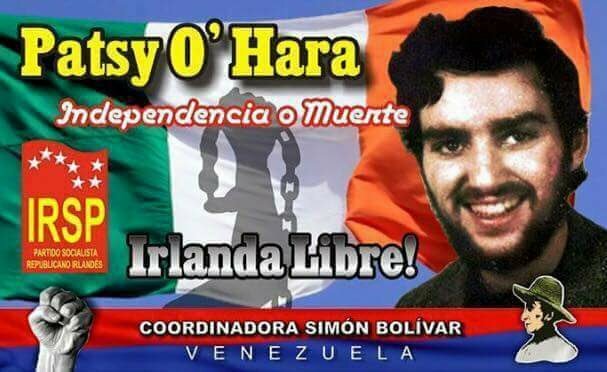 “When the second hunger strike started we began the letter-writing campaign again. Once Bobby allowed his name to go forward for the Fermanagh/South Tyrone by-election, we went into overdrive. There was a huge effort by the prisoners. 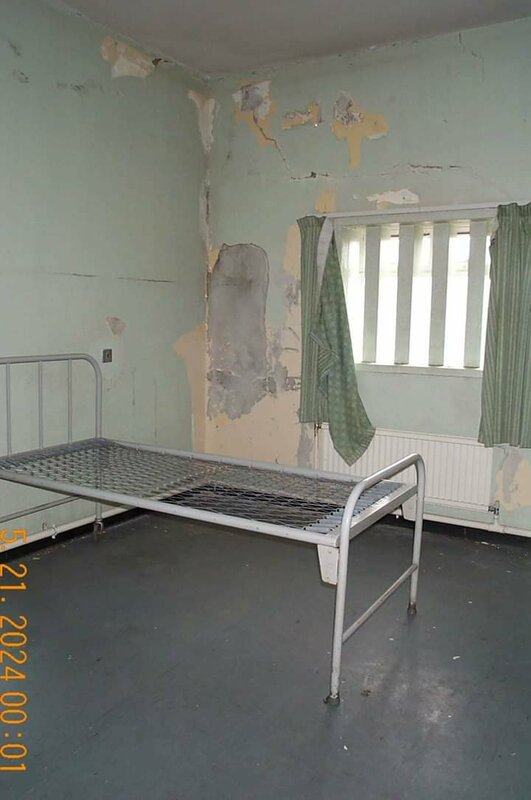 “Despite initial reservations about the tactic among some prisoners, there was rapid acceptance and understanding of the value of using this tactic once we had made the decision. 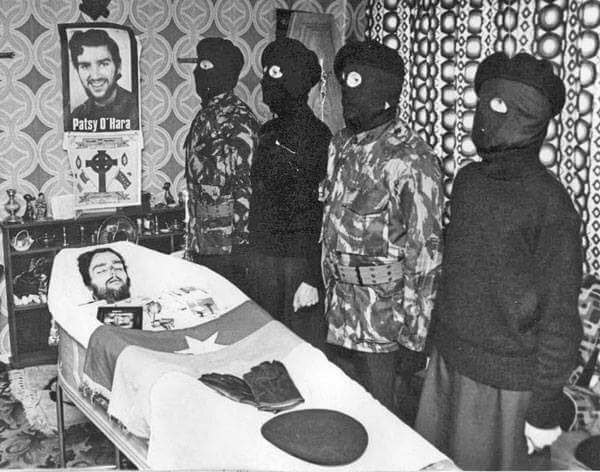 “When Bobby began his hunger strike, I was certain that he was going to die. He was certain of this too. “But when he was elected as MP, I started to hope the situation had changed – that the British could not allow him to die. 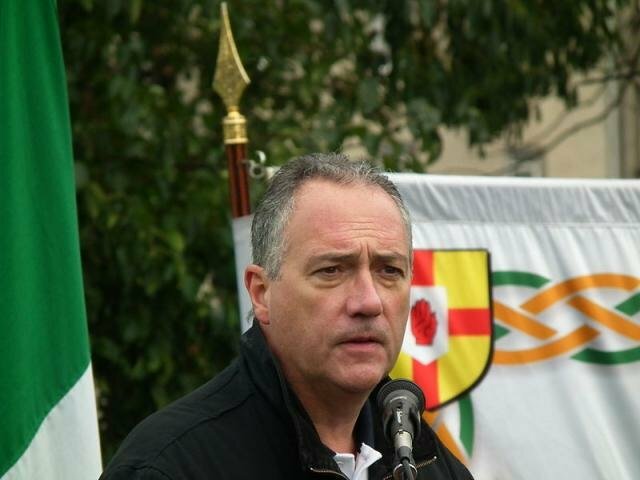 “We hoped that Bobby’s election, and the clear signal this sent that republicans had significant public support, would put pressure on the British to meet the prisoners’ demands,” Walsh said. “It’s hard to put yourself back in that mind-frame without viewing events through the prism of the past 30 years. But undoubtedly a major lesson for republicans at the time from Bobby’s election in April 1981 was that the nationalist people in the North were willing to support and vote for republicans. “That didn’t mean people were at that stage voting to support the armed campaign, or even a United Ireland. But given the right set of circumstances, the nationalist people would vote for republicans and our politics. “It was, as I said, a major lesson. It indisputably opened up that arena to a generation of republicans who previously had no regard, no expectations, and no aspirations to do anything around electoral politics. “During the long, dark days of the blanket protest, we kept up morale by learning Irish and sing-songs and some of the guys even ingeniously fashioned a game of bingo out the door to keep the wing entertained. “Our other main preoccupation was with politics – discussing, arguing, and debating the politics of the world, and the politics and history of republicanism,” Walsh said. 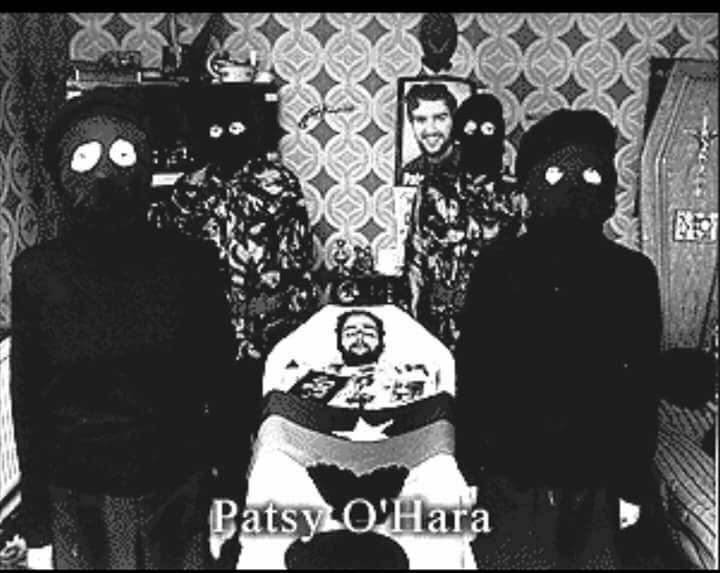 “It was apparent for us during these discussions in the jail that in 1972, when the IRA had forced the British through force of arms to the negotiating table, we didn’t know what to do when we got there. “In 1974 and 1975 when the IRA had again forced the British to the negotiating table, we didn’t have the political machine nor the political operation in place that would allow us to move into that space once the IRA had created it. “There was an acknowledgement of these limitations in the mid to late 1970s, not right throughout the movement but certainly within a section of it. Walsh described the “blanket protest” that developed after the removal of political status as being “like a political crucible, or a pressure cooker in which all of the politics, the mayhem of that period of the late 1970s and early 1980s was concentrated”. He said: “This experience created a very strong comradeship and a bond among the prisoners. It created a determination among many of us to see this struggle through to the end – throughout the twists and turns of the struggle, a sense that you would never walk away from it. “It produced a caucus of politicised, committed, determined lifelong activists. 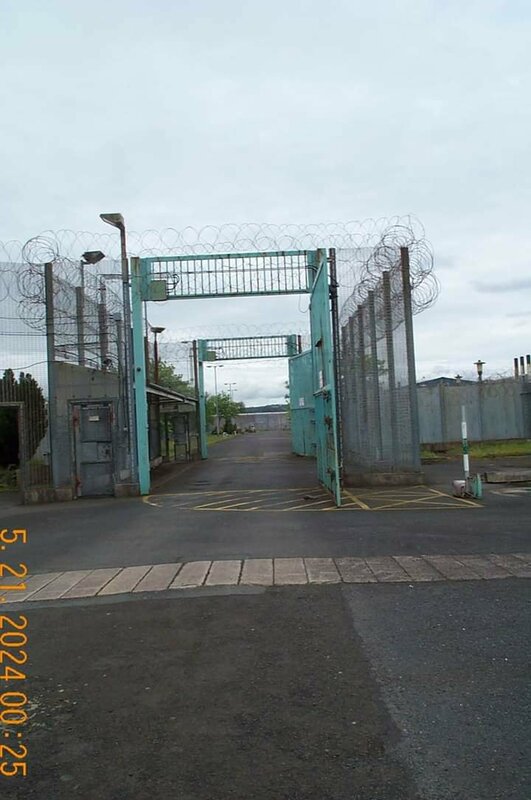 “The prison protests, and what men and women went through during those days, also caused immense damage to a lot of people in Long Kesh and Armagh jail. “I believe that the brutality and indignities of that experience left deep scars across the entire republican and nationalist communities. 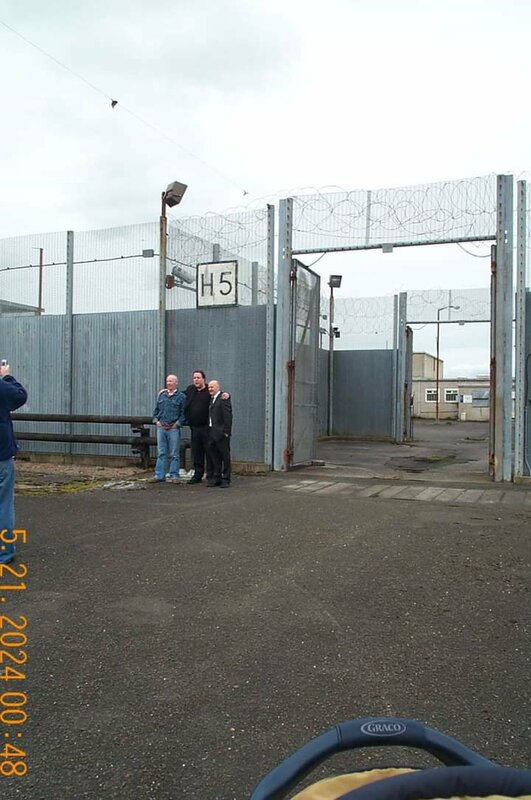 It was not only the prisoners who were suffering but visiting relatives including children who endured the indignities of searches, the taunts of the warders and the sectarianism and petty-mindedness of the whole prison system. “I was speaking earlier about Bobby’s love for music. When we were on the blanket protest after political status was removed, of course we had no musical instruments. “Bobby was one of a couple of guys – him, Bik [Brendan McFarlane] and couple of others – who would get up and sing. They’d have a repertoire of around 30 songs or so and could sing away for an hour easily. “The rest of the wing would be very quiet during those sing-songs, you’d close your eyes and listen and it’d take you away for awhile. “Bobby used to sing a lot of Simon and Garfunkel and Leonard Cohen songs during that period, and a guy called Loudon Wainwright III. “I was talking to Tom Hartley recently about that period – about the period of the hunger strike, Bobby’s election campaign and where we are today – and I was remembering the lines of one of those Loudon Wainwright songs that Bobby sang. “For me these lines are a metaphor about the distance we’ve come. From where we were when Bobby used to sing those words, to where we are today – it’s just a world of difference. “It’s also a reminder of how, despite the fact that things can be so bleak at a given time, they can change, change utterly, for the better. 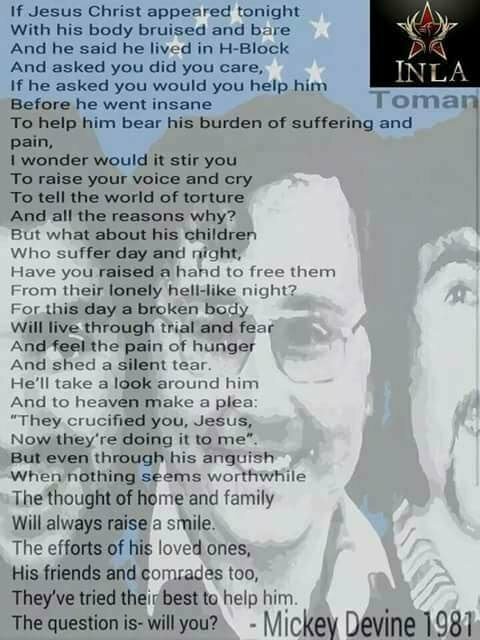 “That oft-quoted line from Bobby’s writings – ‘Our revenge will be the laughter of our children’ – is in the same spirit as this song, and I think it really does sum up Bobby’s vision – of daring to dream of a better future and of struggling for it with every ounce of his being. How to write a history of forgetting: did Ulster Protestants fear to speak of ’98? 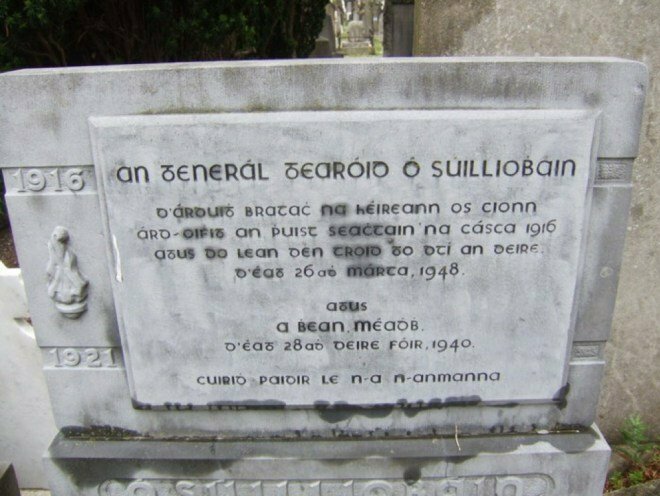 Author seachranaidhe1Posted on December 1, 2018 Categories IRISH REPUBLICAN HISTORYTags How to write a history of forgetting: did Ulster Protestants fear to speak of ’98?, Irish Rebellion of 1798Leave a comment on How to write a history of forgetting: did Ulster Protestants fear to speak of ’98? 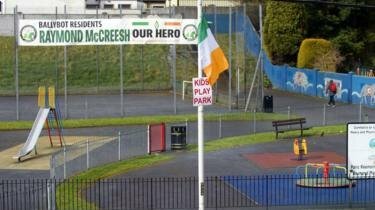 Sinn Féin has lost its call-in petition to Newry, Mourne and Down District Council to reconsider the sale of McCreesh Park in Newry. 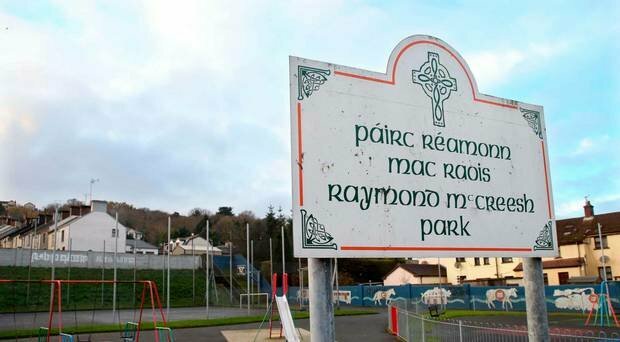 The play park has caused controversy after it was renamed in tribute to the former IRA man Raymond McCreesh in 2001. 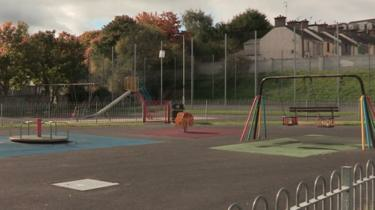 Unionists and IRA victims had repeatedly called for the name of the park to be changed. 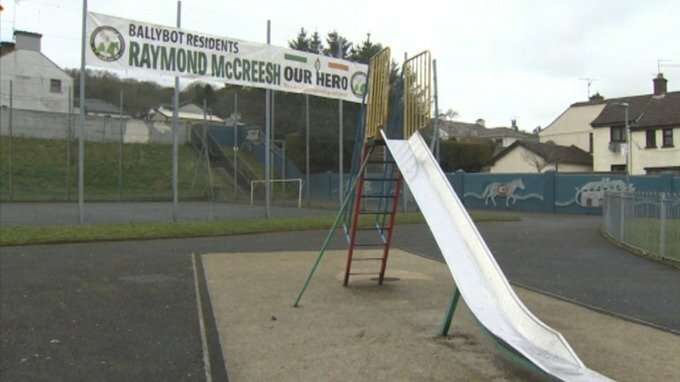 In April, a report to the council recommended that future investment in play facilities in the McCreesh and nearby Barcroft playpark areas should be focused on a single site. Last month, the council said it was planning to sell the park. That was challenged by Sinn Féin who said it wanted a community consultation on the issue. In October the council said it was planning to sell the park. But on Monday evening the council published legal advice, which said there had been extensive consultation and analytical work in relation to the impact of any change in the provision of play facilities in this area. The author of the report, Mr Tony McGleenan QC said that there had been detailed and repeated community consultation in respect of the future investment in Barcroft and McCreesh play parks and the need for rationalisation of this part of the Council’s estate. Mr McGlennan said: “This decision [to sell the park] has been reached after community consultation and empirical analysis. 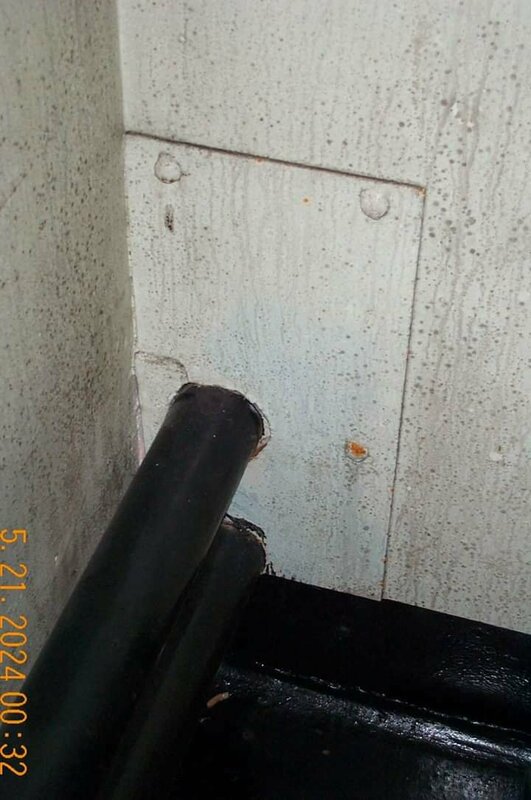 He continued: “The decision to start the process does not equate to a commitment to dispose of the site. If no expressions of interest are made the issue will never arise. “If expressions of interest are made the question of disposal will be returned to the Council before a final decision is made. With many thanks to: UTV News for the original posting.